Are Merrell shoes good for running? 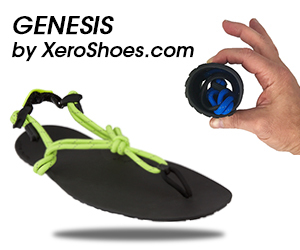 They are if they are flat and encourage the natural movement and function of your foot. One of my favorite Merrrell minimalist shoes for forefoot running is the Trail Glove 3. If you really want to stand out and perform well in a road race, in training, or during long runs on tough, rocky trails without any troubles, the Merrell Trail Glove 3 is a good choice because of its durability. Unfortunately, many minimalist trail running shoes I have tried are not really puncture-resistant. Trail runners, especially endurance trail runners, need a minimalist running shoe with a durable rubber outsole as well as a durable upper. Again, this is why the Merrell Trail Glove 3 is good for trail running, because the upper fabric can handle heavy abrasions. The Trail Glove 3 is zero-dropped with a Vibram outsole more durable than the previous Trail Glove 1 and is a great forefoot running shoe for rocky paths and long distances. The toe-box of the Merrell Trail Glove 3 is wider than the Trail Glove 1. 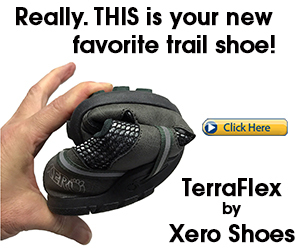 The lacing system on the Trail Glove 3 was also re-designed to accommodate wide feet. The Trail Glove 3 is also more flexible, more breathable, more durable and flatter than the Trail Glove 1, making it a much better running shoe for forefoot runners. Tough durable outsole delivers amazing traction when forefoot running through the woods! 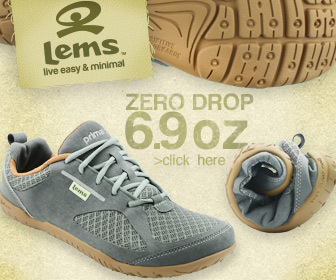 The lightweight, mesh upper forms perfectly to your foot’s structure, giving it a glove-like fit. Overall, if you have wide feet, do a lot of long distance running on the roads or on the trails, and are looking for a shoe with a tad more protection and durability than most barefoot running shoes, the Merrell Trail Glove 3 is a great choice. If you are interested in an even more minimalistic Merrell shoes, check out my review on the Merrell Vapor Glove. Inov-8 Bare-XF 260 – Very comfortable, zero drop and versatile barefoot shoe that’s not only great for running, but rope climbing too. Sockwa G4 – Perfect alternative forefoot running shoe to the Vibram FiveFingers. Amuri Cloud – Super barefoot-feeling zero drop minimalist running sandal that will strengthen your feet in no time! Vibram KSO EVO – Super thin barefoot shoe that’s durable for both road and off-road running. I recently started wearing Correct Toes toe spacers while barefoot to improve foot health and function. Now I need to find a “Correct Toes Approved” shoe I can wear them in. Are you familiar with Correct Toes, and do you know whether the Trail Glove toe box is wide enough to accommodate them? I also read that they are stiffer then the 2nd generation. I don’t know about the 1st gen. They are pretty stiff – but bendy in the right places. If the 1st gen was stiffer, that would be ridiculous.